Starting with the Kansai Electric's Oi Nuclear Plant, there is an ongoing state of disarray surrounding the restarting of nuclear power plants across the country. The government has been trying to proceed with restarting the reactors, but with local mayors and residents standing in opposition, it is still unclear whether this will happen. Then on May 5, all of Japan's reactors were shut down. Concern about nuclear reactors has spread across society due to the nuclear accident in Fukushima. Although it is natural to be concerned, when policy is swayed by these emotions, one runs the risk of electricity shortages during summer, when demand increases, and higher costs for power. What is the cause for this disarray? What can be done so this does not happen again? I asked Kazuo Ishikawa, public policy maker, representative for the Social Security Economic Research Institute, and senior researcher at the Tokyo Institute. 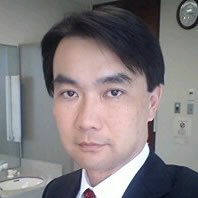 Mr. Ishikawa is a former official of the Ministry of Economy, Trade and Industry (METI), who worked on institutional reforms in the electricity and gas industries on multiple occasions. He has experience overseeing renewable energy plants, including hydroelectric, geothermal, and wind. He left politics for health reasons, but now he has made an almost complete recovery. As a "public policy maker", he recommends policies concerning social security, industrial finance, consumer policy, and administrative reform from a neutral standpoint. At present, he also serves as a member for the Cabinet Office Government Revitalization Unit Working Group. ––What do you think about the disarray concerning the problem of restarting the reactors? I can't evaluate the response of the government, METI, and electricity companies such as Kansai Electric Power. If they had taken appropriate action, the problem would not have gotten this complicated. After the Fukushima nuclear accident, trust in current energy and nuclear plant policy completely collapsed. It therefore comes as no surprise that local mayors, assemblies, and residents in places where nuclear plants are located are concerned. Hence this year there has been disagreement over restarting the plants due to this lack of trust. I could have predicted t his back in fall of last year. As for why things fell into disarray in spite of this, I must say that it is due to not adequately preparing for how to respond to this. This problem began last summer under not an administrative directive, but a "political directive" from former prime minister Naoto Kan, requiring nuclear reactors that did not have an upcoming scheduled inspection to pass a stress test as a condition for restarting. He had no legal basis to do this. This is extraordinary for a country like ours, which is bound by the rule of law. Mr. Kan's request for the shutdown of the Hamaoka Nuclear Plant also lacked any legal basis. This series of runaway political power caused disarray in administrative procedures. Coupled with the ongoing government bashing and distrust in the Democratic administration, I think the idea that "you can't trust what the government says" became widespread. Even though the government made a mistake and despite the fact that METI had many things they needed to do, they were slow in responding. For instance, when presenting an argument for their energy policy, especially the extent of the damage caused to Japan's economy were all the nuclear reactors to be shut down, the government did not offer enough information. I do not believe they ran much of an advertising campaign and they did not explain things well enough to local governments and residents. Though it is rare for the public to eagerly support the government and say that everything was clearly explained. ––Why do you think those working at the METI, who are usually on the ball, were slow in responding? Although I am no longer a bureaucrat at the Ministry, my guess is that too much was going on at once. The public was criticizing METI over the Fukushima nuclear accident, and in some ways they were not dealing with this criticism. Those at the ministry may also have overreacted to politicians changing their attitudes and views while calling it political leadership. In any ministry, the bureaucrats cannot perform their job without the understanding of those at the head. This may have been influenced by the electricity industry, which still needs authorization to run. According to Electric Utility Industry Law, it is the electric company's obligation to provide electricity. Those in METI may have thought that it was the electric companies' job to run the power plants, or they may have assumed a strict hierarchical relationship where their directives would be faithfully carried out. The bad thing about businesses that require authorization is that "who holds responsibility becomes unclear." I think that this is what happened. This also may have to do with the fact that METI is finding itself with fewer and fewer opportunities to adjust policy. In the past, the central government agencies formed hotlines with the political world, the relevant industries, the affected municipalities, and the media. They carefully built consensus with those involved before a problem cropped up, so that policy could be smoothly implemented when one did. In doing so they were also able to gather information from those involved and adjust policy accordingly. However, people condemned the "cozy relationship between politics and business" and it became difficult to work like that. As an ex-official, I can't help but say that the Ministry can no longer offer "the good kind of administrative guidance". This may have also had an effect..
Local towns do not need extralegal measures, they need deliberate action. ––In response to the problem with the Oi Nuclear Power Plant, nearby towns, including those in Osaka city and the prefectures of Osaka, Kyoto, and Shiga, have been creating their own set of conditions for plants to reopen, seeking a "radical rewriting of safety standards" (places like Osaka have delayed altering these conditions since their creation), and residents of towns and villages by the plant have been growing more worried. This has made restarting the plant difficult. What should we make of this previously unseen involvement of towns and mayors in energy policy? I think this will greatly change energy administration from now on and it's significant that people are becoming more interested in these policies. Naturally, the mayors of towns in such areas are going to voice their constituent's views and fears. The nuclear accident brought to light problems in energy administration, which Osaka mayor Toru Hashimoto called "haphazard," and sowed all of this distrust. However, under the current laws, the Minister of Economy, Industry and Trade makes the final decision about restarting nuclear plants. By not restarting the plants, the cost of fuel rises, and with the current arrangement to determine prices, called "full cost pricing," the cost of electricity for consumers will definitely increase. Until the law is revised to include some sort of pricing system, citizens will just have to accept living under the current system. The "public" is excited by extralegal measures. This argument goes along the lines that "this is a time of emergency and a new process for running the plants should be put in place, reflecting popular opinion." As a citizen of Japan, I deeply understand this view. But I believe that when you calmly think about it, nowhere outside of the disaster area is in a state of emergency. Inadequate parts of nuclear safety regulations should be fixed immediately, but this goes hand in hand with restarting the plants. I think it reasonable for this law-abiding nation to deal with this problem under the current law until new safety regulations are in place, and once the law has been revised, then to determine whether a plant can continue operating. ––Mayors in the Kansai region are saying that they "want to hear what the people have to say about restarting the plants." I certainly understand that stance, but how can one measure public opinion in the current political system? Public opinion in local governments falls in the hands of the elected officials, where the decisions of policy makers ends up as de-facto public opinion. I think that public opinion, which generally calls for law and order in society, will naturally tend towards a stable supply of electricity, including from reopened plants, with the heat of summer approaching. This is probably what your average Joe is feeling right now. Osaka mayor Toru Hashimoto reportedly expressed his intention to allow the nuclear plant to restart if he could not get the people to support power-saving measures, stating: "I am asking the people of this city to change their lifestyle. If they can't accept that burden, there is no choice but to restart the reactors." If he truly meant this, his stance up until now against restarting the plant has changed. Although some criticize his change of position, I actually applaud it. As they say, "a wise man changes his mind." There is nothing at all strange about a politician changing his mind based on the situation. I place the least trust in those members of the ruling party that constantly cling to unrealistic manifestos. The government should offer information and provide its people with options. ––Things may take more time and effort with reactors across the county, like they are at Oi. How should this be handled? The government and METI first need to undo this step backwards they have taken and stand by the idea that stable distribution of electricity is the responsibility of the government. They need to convince the residents of areas with nuclear plants and everybody else, providing them with information and options. In addition, it is important that we marshal our most advanced knowledge to thoroughly review safety measures, and make the information public. The nuclear accident in Fukushima destroyed trust in nuclear policy. It may be difficult, but if not dealt with head on, this county's energy policy will be unable to recover. On May 3, the Minister of Economy, Trade and Industry Edano alluded to rolling blackouts being implemented in Kansai Electric's region. This shows that a real sense of urgency about an electricity crisis may finally be starting to develop. Local mayors and assemblies in these areas are of the attitude that all things aside, the Minister of Economy, Trade and Industry is responsible for the final decision. I am certain that the decision on whether or not to restart a plant will tend towards "maintaining the vested interests of the majority of electricity consumers," because that is how it should be. I don't think that after the accident METI put much effort into communicating what would happen if the nuclear plants were shut down or what their vision of the future for energy was. The many committees formed under the Kan administration are still deliberating these things, but they need to present the citizens with some options as soon as possible. They especially need to show the people how the economy of this country would be run without nuclear power. For example, last year we imported ¥21.8 trillion worth of fossil fuels, up ¥4.4 trillion from the previous year. Having fallen into negative growth last year, this is without a doubt a blow to Japan's economy. If this situation continues, our strength as a nation will diminish all the more quickly. I'm not saying that economy is everything, but we should avoid exacerbating the situation. This is the stance that the government, instead focused on "ever-changing public opinion," should be taking. They should cultivate an environment in which appropriate choices can be made by organizing and providing the necessary information. Choices about energy are an important decision affecting the country's economy and its future. The role and responsibility of politicians and METI is important, but at the same time citizens also bear responsibility. We also must face this problem and make a careful decision through channels such as the ballot box. As they demonstrated to the world by their level-headedness and sense of public spirit in the recovery after the earthquake, the Japanese are a smart people. I am certain that they will make the right decision.